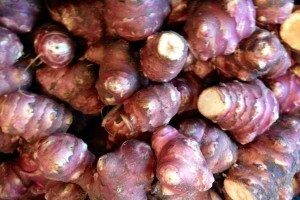 Artichaut de Jérusalem ou Helianthus tuberosus, aka sunroot, sunchoke, earth apple, or topinambour produces edible tubers. 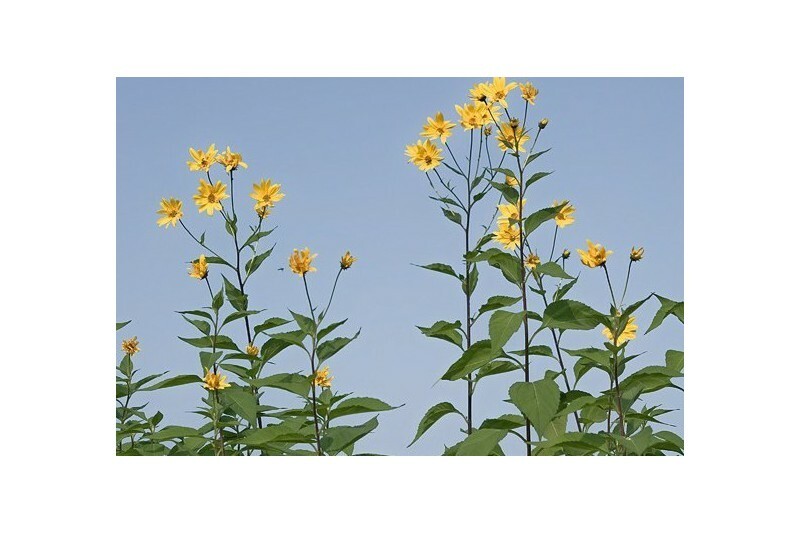 Grown organically they are safe to consume.Produces very tall foliage and yellow flowers. Herbaceous perennial. The tubers store their carbohydrate as inulin (not to be confused with insulin) rather than as starch. 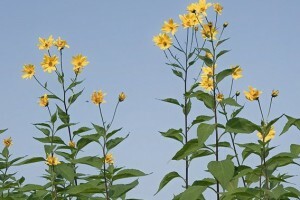 So, Jerusalem artichoke tubers are a great source of inulin. Commonly used as a dietary fiber. Thin skin does not require skinning and tuber can be eaten raw (in salads). Taste resembles artichoke.